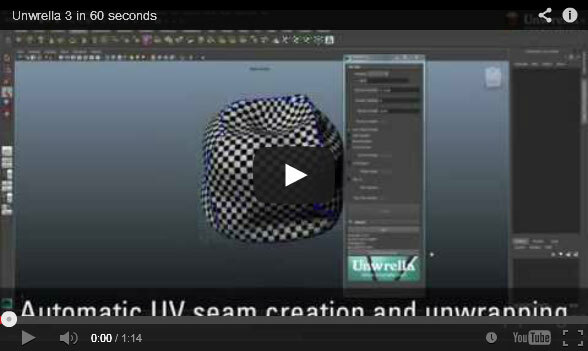 This is a 60 second presentation of the Unwrella plugin for Autodesk 3ds Max and Maya for Windows. Unwrella 3 Quickstart training material, covering the new and updated features, as well as explaining some workflows. Unwrella functionality overview. 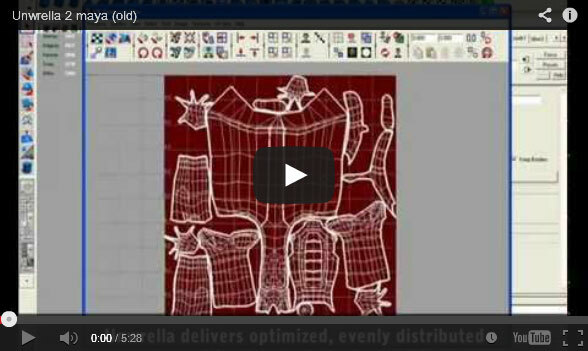 This video tutorial focuses on automatic UV Packing and UV-Tiles generation. 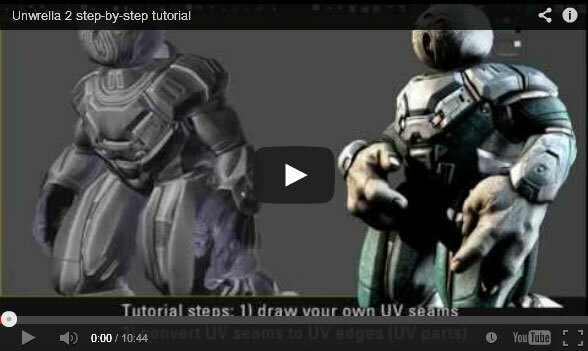 Unwrella 2 video tutorial for Autodesk Maya. 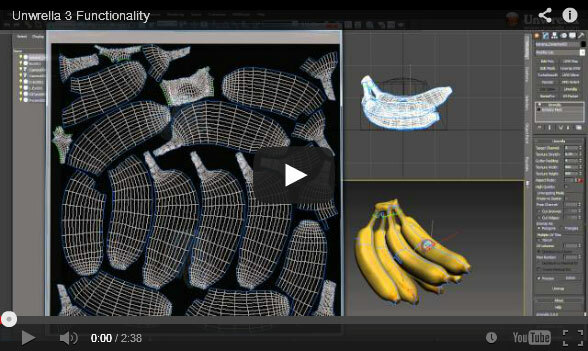 Unwrella 2 video training material for fast and optimal texture baking creation. Unwrella 2 in-depth tutorial for better understanding of the unwrapping workflow.